The Winkl-Landthal campsite * * * * is quiet and sunny. Framed by the Latten Mountains with the Sleeping Witch and the Untersberg in Berchtesgaden National Park. Whether sun or shade or a cosy spot on the cool crystal clear mountain stream, we try to fulfill your wishes. More than 254km of hiking trails invite you to go mountaineering and cycling, mountain tours at all altitudes are possible All the attractions of the Berchtesgaden valley can be reached by car or bus in short time. Welcome to our natural ★★★★ Campsite Winkl-Landthal! Our 4 ★★★★ campsite Winkl-Landthal is calm and sunny and is located in Bischofswiesen-Winkl in the Berchtesgaden National Park. 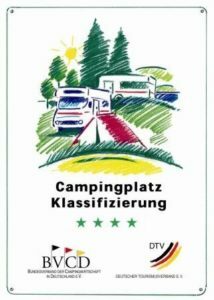 We have voluntarily asked for classification of our campsite by the BVCD (Federation of camping industry in Germany) and were awarded 4 ★★★★ stars, i.e. a review “Top Notch”. We have pitches with normal and comfort equipment for caravans or motorhomes and a large lawn for tents. The idyllic pitches on a clear mountain stream are very popular, especially in summer – particularly for our young guests. Not far away from the Watzmann at the foot of the “Sleeping Witch” and the Lattengebirge, the campsite with two terraces is suitable for family holidays, couples or seniors. For each guest it is a perfect starting point for various holiday activities. 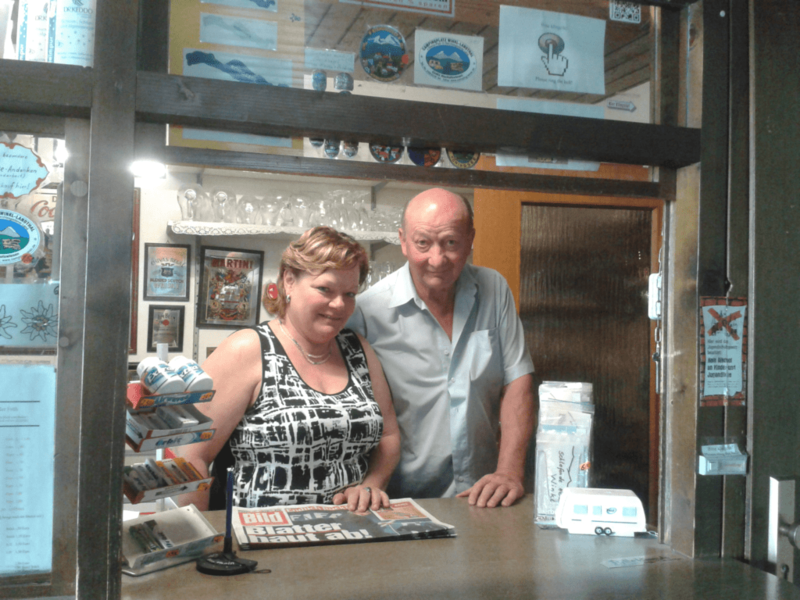 We would be pleased to welcome you as customer on our campsite.